I am dance and theatre facilitator in a diverse range of settings. My approach is participant-led, inclusive and fun. I use music, props and costume, and work with a range of themes from gender empowerment to sensory story telling. Underpinning my practice is a belief that anyone and everyone should have the opportunity to take part regardless of how they identify. My areas of expertise include working with young people with learning disabilities (PMLD, ASD MLD), schools settings and pupil referral units. My work with them is underpinned by Intensive Interaction training. I also run community projects for young womxn, beginning with their subjective experience of the body through movement and encouraging them to reflect on their position in society. 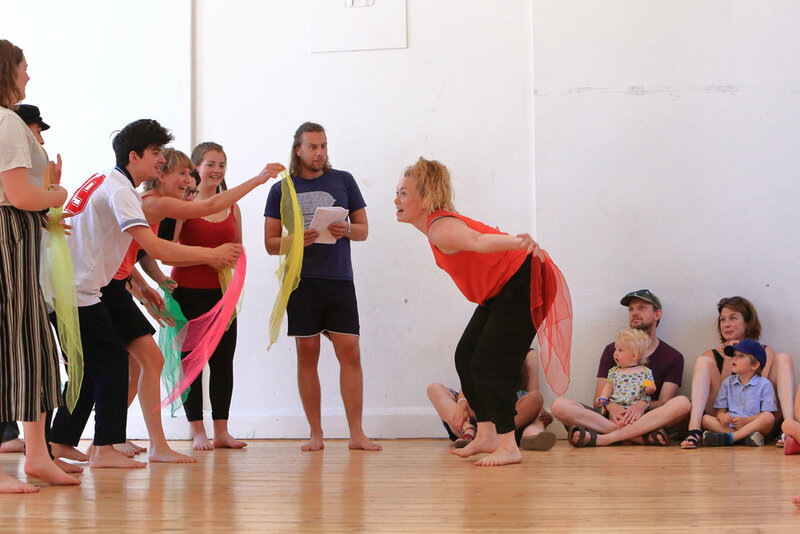 I currently facilitate regularly for BLINK Dance Theatre, Emergency Exit Arts, Mousetrap Theatre Projects and Oxford Youth Dance. I facilitate bespoke one off and longer projects and have access to a wide range of props and materials. Please get in touch to find out how we can work together!